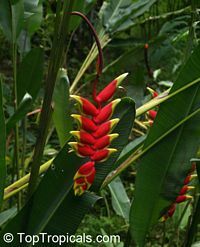 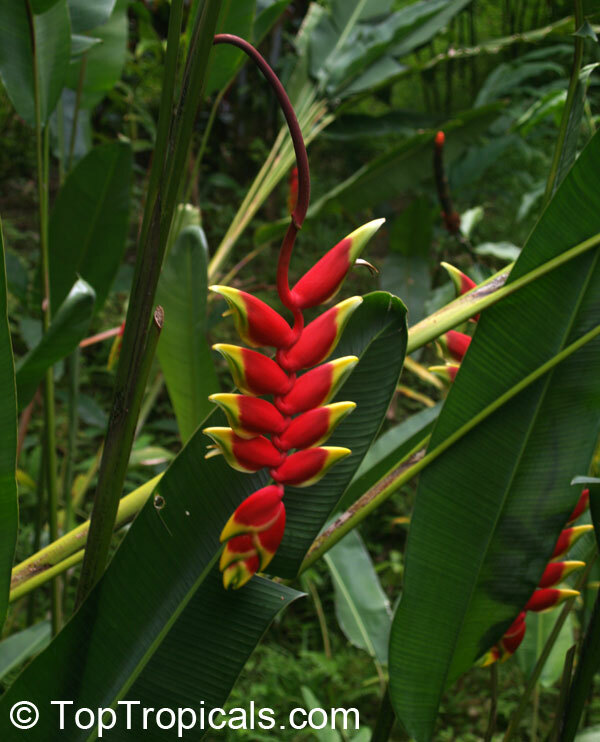 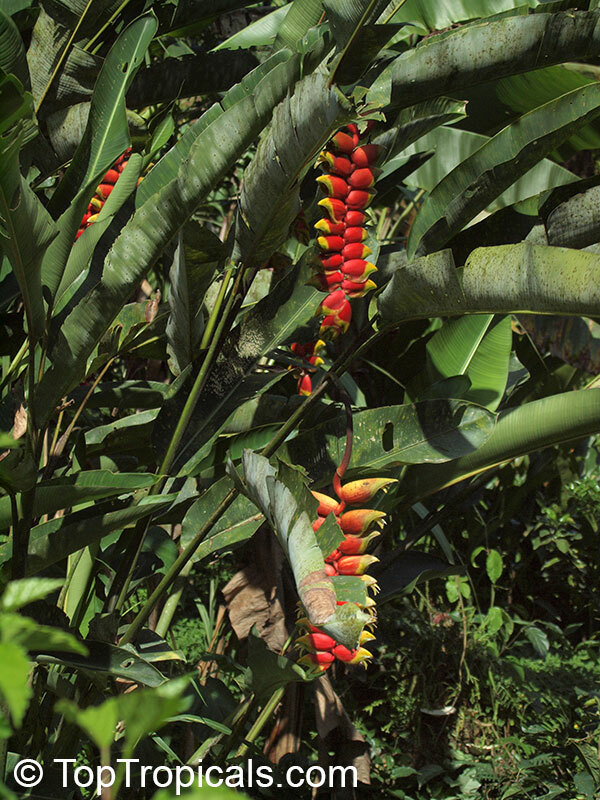 Heliconia rostrata is one of the most recognized and widely grown species, and one of the most beautiful. 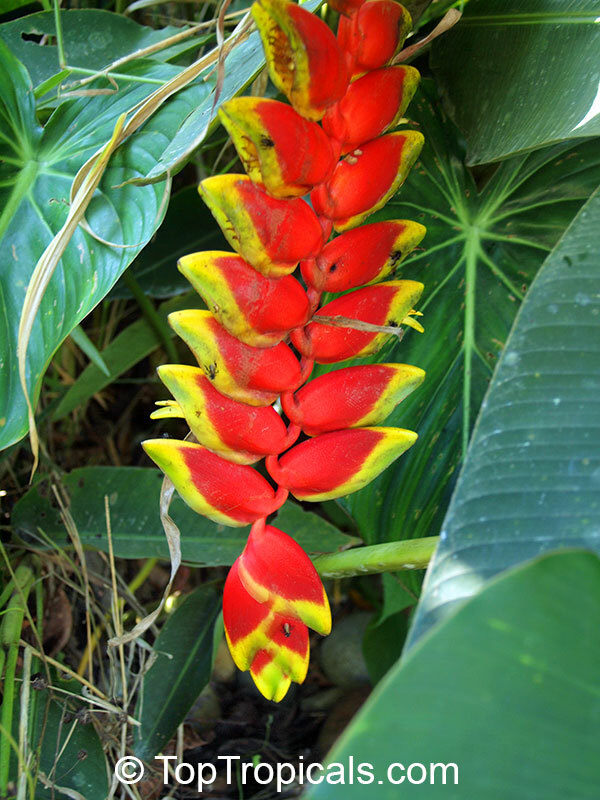 The inflorescence it produces is one of the most colorful you will ever encounter. 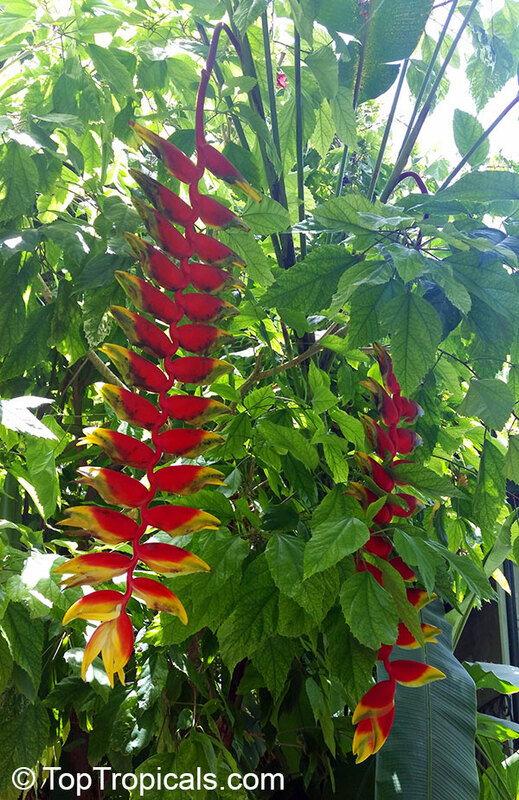 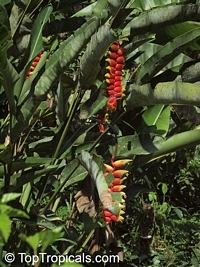 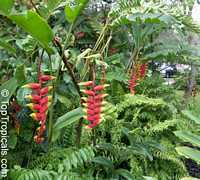 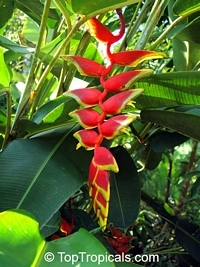 It is pendent, the bracts are red with greenish yellow edges. 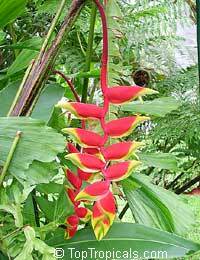 The flowers last a long time and make an excellent cut flower. 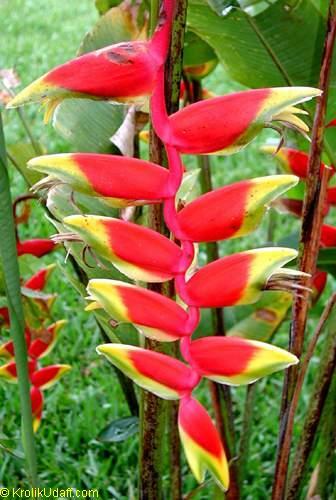 It is an easy grower in tropical areas but some room is required because the stalks can reach 7 feet in height. 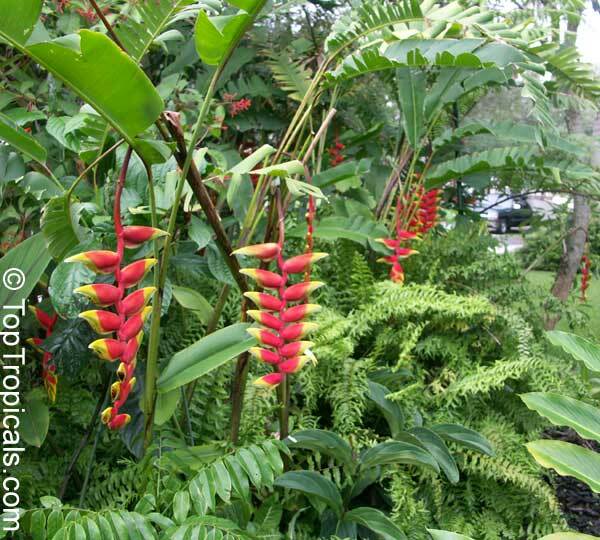 Bright shade is ideal with good moisture in the air and in the soil, but no soggy soils. 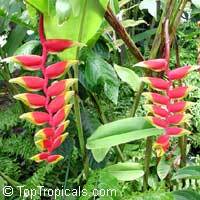 Heliconias are also heavy feeders. Sheltered areas are better because strong winds can shred the leaves pretty bad. 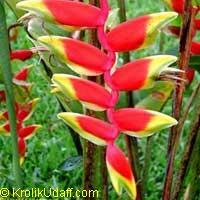 Can be grown in large pots. See Thai Heliconia - varieties Gallery. Lobster Claw, Parrot's beak. 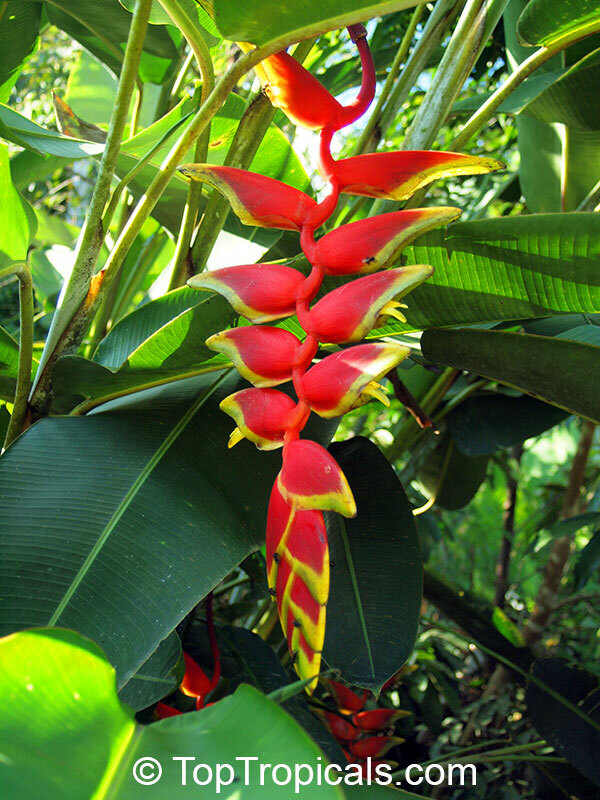 One of the most recognized and widely grown species, and one of the most beautiful. The inflorescence it produces is one of the most colorful you will ever encounter. 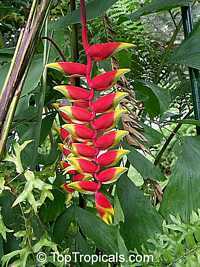 The flowers last a long time and make an excellent cut flower. 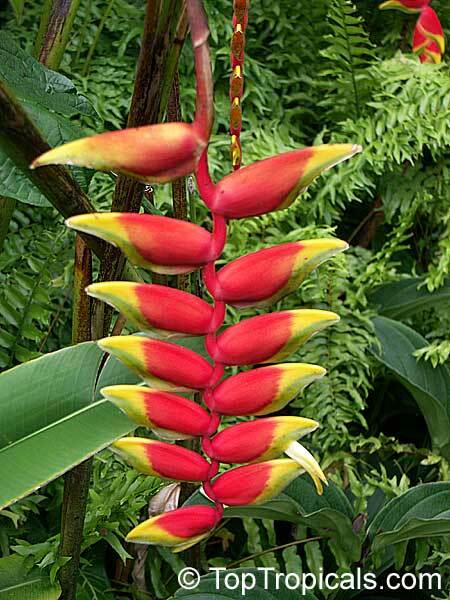 It is an easy grower in tropical areas but some room is required because the stalks can reach 7 feet in height. 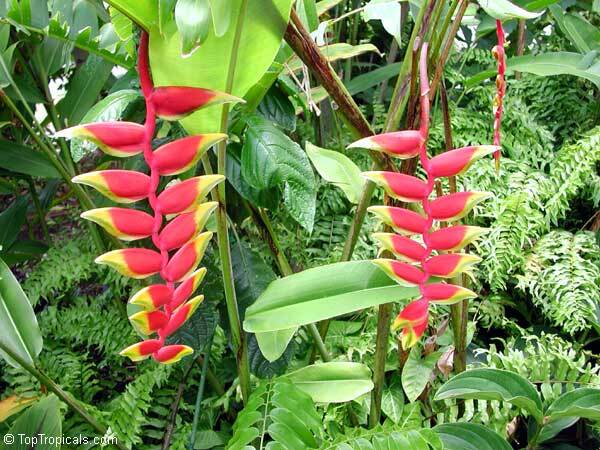 It can withstand temperatures in the high 20s. 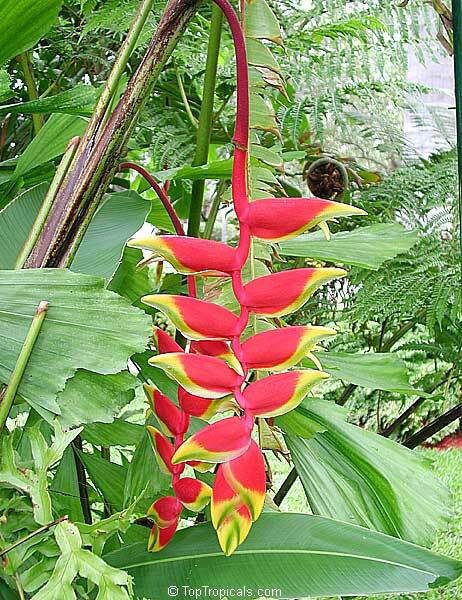 Can be grown in large pots.